Last year John inadvertently had a staycation because of his whacked work schedule. We had a few days to spare but not enough time to get anywhere (and to be honest, not enough money to get us there anyway). Schedule an out-of-office auto-responder on your email. Make a collective decision to get rid of all of the phones, tablets, and computers. Will it be hard? Maybe. But it will be absolutely worth it to enjoy life a bit and not be stuck to a screen. (And it’s good for your kids to get some real-time interaction that’s not mediated through a device or in addition to a device.) Go play in the pool! MWR (and other services) on base are often under utilized. From bowling lanes to golf courses to movie theaters to swimming pools (shall I go on? ), the MWR has a ton of activities and resources available on base for a fraction of the cost off base. And I didn’t even mention the rentals. Depending on your installation, you might be able to rent awesome things like bounce houses, sumo suits, and rock climbing walls for a very, very low daily cost. I mean, your family could be that family– the one that sets up a bounce house for a day. (Envy of the neighborhood, right there!) And it will most likely cost less than half of what a one-night stay in a hotel costs. Besides carnival-type entertainment rentals, they also have camping equipment, boats of different sizes, kayaks, canoes, and sports equipment you can rent for a very low cost. Live in an apartment complex with a pool? Have a beautiful town playground? What about the park right next door to the elementary school? Use the fun stuff you already know about to create recreation opportunities that seem out of the ordinar. Just a few weeks ago, John and I decided to take a long walk around our town. We had no plans, no goals, we just wanted to go for a walk. We spent time in an 18th Century garden, we discovered a Confederate cemetery, and we walked into a huge artists’ studio that we didn’t even know existed. We found so many cool things in just a short amount of time! Take advantage of your time and explore some of the things your town has to offer– a bakery you’ve never gotten doughnuts from, a park you’ve never walked through. There are gems in every town, sometimes you just need to find them. Before your staycation, have a family meeting. Sit down with everyone present and create a list of rules together for your time together. Think about the way you want everyone to respect the time you have together. What kinds of activities are okay? What kinds of activities aren’t? 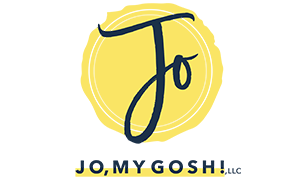 This is a great time to talk about together time and what that means for your family as well as expectations for the staycation. When John and I did our staycation last year, we went to a small town about an hour away… and I took my laptop and worked through some of it. Stupid, stupid, stupid. I didn’t feel like I had gotten a break and I burnt out about two months later. Moral of the story? You need a break. I need a break. Everyone needs a break from the daily grind–especially if you work particularly grueling hours or deal with a lot of stress. Even if you’re not going far (or anywhere at all), make sure that you can feel like you’re on a cruise. Time can evaporate quickly– and when you’re at home, you can get sidetracked by all of the little things that you suddenly have time for. 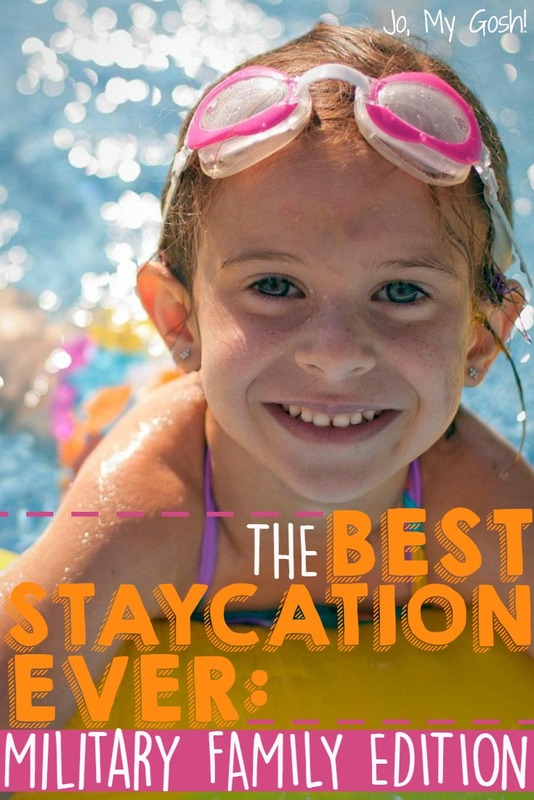 Make a bucket list of the things your family wants to do on vacation. Make sure everyone gets a say and that everyone gets something on that bucket list. Then do those things. Staycations are usually about saving money. Even if you are saving money, find one cool thing that your family can safely splurge on. Maybe you want to take an art class together. Maybe it’s tickets to see a new movie or dinner at a restaurant you’ve never tried before. Maybe it’s the rental cash for that bouncy house. (Dude, if we had a yard, I would be tempted to rent one! So cool!) But splurge. This is the only summer of 2015 you get, treat yourself and make some memories. Chevy is making it easier to discover new, exciting roads with your family. By extending their military discount to those who serve in as Active Duty or Reserves members or are Veterans (within a year of their discharge date) or retirees of the US Air Force, Navy, Marines, National Guard, and Coast Guard. Military spouses are included! The discount can be combined with other offers, including a private offer for USAA members that nets you an additional $750 off. And make sure you enter this contest! 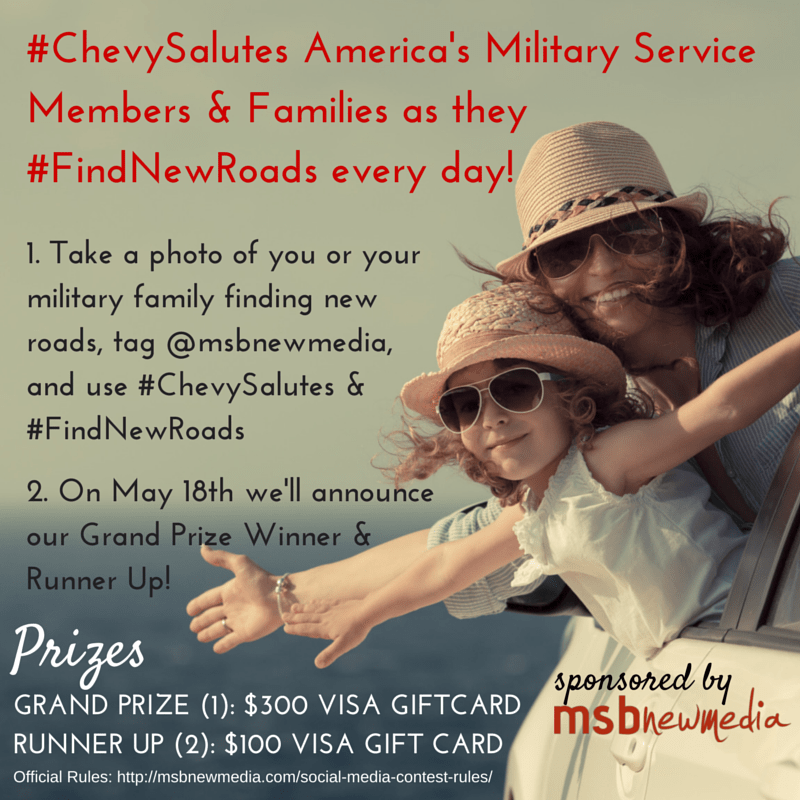 The #ChevySalutes #FindNewRoads IG contest is going on right now until May 17! Have you ever staycationed? What tips would you give other families? PS. Make sure you check out these vacation hacks and my huge list of travel and vacation discounts and services! I love the idea of taking a walk in places nearby where you don’t usually go, or don’t often go on foot. Just finding a little shop or cafe you’ve never visited or even noticed while driving by can make you feel like you’re on vacation. Yes! John and I had the most wonderful time wandering around our town without any idea of what we were going to do. We found so many hidden gems!